Top political guns are in Stockholm in Sweden as the Russia-EU summit kicks off. Energy supplies security, trade cooperation and future dialogue between Moscow and the EU are on the agenda. At the opening speech, Russia’s President Dmitry Medvedev expressed hope the discussions at the summit, the last of its kind before the sweeping reforms in the European Union come into force, will be frank and open. He reminded the summit members that in a month’s time it will be 20 years since the agreement between then-USSR and then-European Economic Community was signed and said the relations has improved greatly over this period. “We are the greatest partners on the European territory. It doesn’t mean that our relations are smooth, but the main thing is we communicate regularly and those problems that sometimes occur, we negotiate in a friendly mood during meetings alike,” President Medvedev said. Strained relations between Russia and Sweden, which is currently holding the rotating EU presidency, have caused a stir in relations with the whole Union, and it has not even been clear if this summit would be held at all. After the South Ossetian war in August 2008, it was Sweden who first suggested implementing sanctions against Russia and was openly demonstrating an anti-Russian stance. It also took Sweden a long time to approve the Nord Stream pipeline, which Russia is going to lay thorough its economic zone.The decision improved relations, which reached an all-time low level last December, Claes Lofgren, chief correspondent with the Swedish TV network SVT told RT. The meeting is particularly important, as it will be the last time within this framework that a single national government can greatly influence relations between Russia and the whole of Europe and take it to a new level. 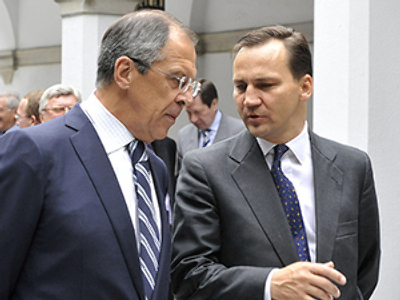 Moscow has long complained that the lack of consistency and predictability affects greatly the relations with Europe. Every six months when the presidency rotated to a new country, the Kremlin has had to discuss the same issues with new people over and over again. And when the problem has been in the hands of a country not particularly friendly towards Russia, the entire dialogue has been put on hold. The Lisbon treaty, due to take effect on December 1, 2009, holds hopes for a change to this situation and stability in relations between Russia and the European Union. However, Aleksandr Strelkov from the European Integration Department of the Institute of Europe says that even when the treaty comes into force, a prejudged approach might remain. “The member states will retain a large amount of control over EU foreign policy, so states like Poland might be tempted again to express their illegitimate fears of Russian influence. So basically the Lisbon treaty will change the context of EU-Russia relations, but not the agenda,” he told RT. Energy supplies to Europe are expected to be the top issue on the agenda of the summit. Europe wants assurances of secured gas flow from Russia after last year’s row between Moscow and Kiev left millions of Europeans in the cold. A new security system is to be proposed. Sweden is also expected to press Moscow on human rights issues in the north Caucasus. Issues of climate change and global economy are also expected to be on the table. Ahead of the summit, Russian President Dmitry Medvedev held bilateral talks with Swedish Prime Minister Frederick Reinfeldt. The meeting, however, wasn’t as fruitful as President Medvdev expected it to be. “We have prepared several memoranda which we could have signed in Stockholm, but for some unknown reasons decided not to. Apparently so our colleagues could meet up again and sign these documents either in Moscow or in Stockholm,” President Medvedev said, speaking at a joint press-conference after the talks. Medvedev has also thanked the Swedish authorities for allowing the Nord Stream pipeline to be stretched across its economic zone.